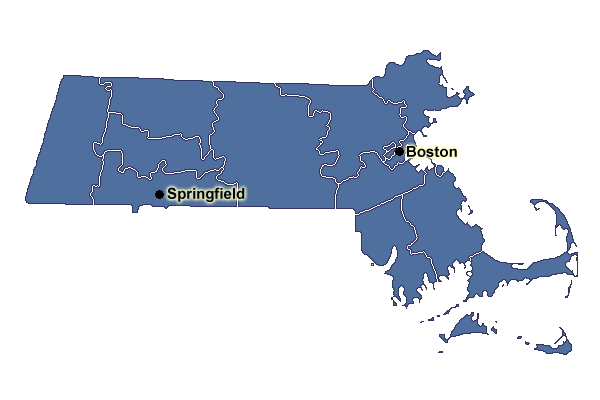 In 2012 Massachusetts became the latest in an ever-growing list of states that have decided to enter into the Brick & Mortar gaming industry, or in some cases expand upon current gaming laws. This week was the State’s deadline for Casino Developers to submit their plans, from which Massachusetts will license up to three resort-style casinos as well as a single slots parlor. The Massachusetts gaming bill calls for three casinos, each located in a specific area of the state, which means that the top three proposals may not be selected, depending on where in the state the proposal is located. One Casino will be located in the Greater Boston area, another will be located in Western Massachusetts, and a third will be built on the South Shore towards Cape Cod. By the deadline set on Tuesday, there were 11 proposals submitted, but in addition to being chosen by the Massachusetts Gaming Commission, the developers will also have to get a referendum passed in the locale they wish to build these casinos per Massachusetts law. Even before the Gaming Commission has hinted at their selections towns were already debating the pros and cons of adding a mega-casino in their area. Under Massachusetts law the referendum would need to pass by a 2/3 vote, making it a dicey proposition. •	Crossroads Massachusetts – A proposal by Colorado developer David Nunes to build a casino in Milford just off of 495. To even be considered developers had to submit their full proposal (for a casino project costing at least $500 million, and $125 million for the slots parlor) and attach a non-refundable $400,000 check –so every proposal should be seen as a serious contender. Massachusetts will receive 25% of gaming revenue from the resort-casinos and 49% of the slots parlor revenue in taxes.